Appearance: As above (the blue is suppose represent the classic arrow on her forehead). Zasi stands at around 5'4", making her a bit smaller than normal. She has Light, ashy blonde hair to match her pale complexion. She has stunning green eyes that often contrast the robes she wears. 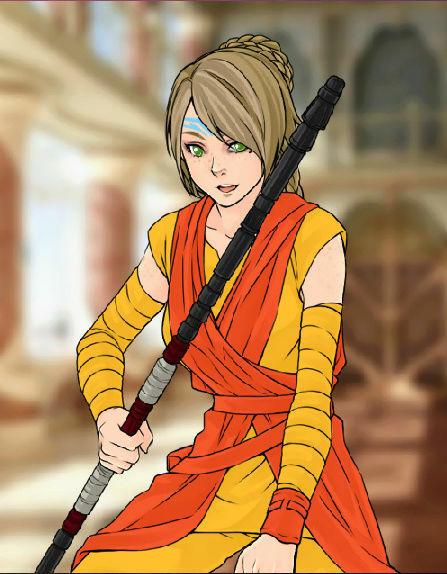 Zasi wears the classic orange and yellow garb of the monks and well, any airbender really. She has the well known blue arrows running down her body. Personality: Zasi has a very bubbly and outgoing personality, and it is nearly impossible to see her without a smile. She is a very optimistic gal and always looks for the best in everyone. Zasi loves to make others smile and help those in need. She is the type of girl to show much patience, until provoke. Once angered, she is a very cold and hard person when around the person who has upset her. She is very easy to put trust in others, but once lost it is hard to regain. Strengths: Zasi is skilled in moving quietly, she is also very well disciplined in her bending. Zasi is able to skillfully use her staff and bending as one when fighting. Weaknesses: Zasi can be a bit over-eager when it comes to certain situations. She trusts almost everyone, even without knowing their story. She can also be very impulsive and acts based on her emotions. Relationships: Zasi was loved by all at the Northern Air Temple, but one monk truly stood out from the rest. Hohin was a monk who trained Zasi. History: Zasi has always only ever known of the Northern Air Temple. She was born and raised there. Her mother had died when Zasi was born, and her father had never returned from delivering a message. At first, the monks had their doubts with Zasi. She was what you would call a late bloomer. Shortly after being born, she had shown a possibility for becoming a powerful airbender. AS she grew older, it was hard for her to bend. Up until the age of six, she had shown little skill at all. Most of the monks had given up on training Zasi and focused on training budding benders instead. One person remained by Zasi's side. A trainer called Hohin he had never given up on the young bender. He trained Zasi and focused mostly on her. The other young children would often tease her about her abilities. Instead of letting this bring her down, Zasi focused all of this in her training. By the age of twelve, Zasi had shown as much skill as the others. She was always wanting to learn more and grow to her fullest potential. She would spend many hours practicing and working as hard as she could. Many days, she would work until the sun had dropped out of the sky. When Zasi had turned sixteen, she was given her final training and was sent to the Southern Air Temple to show her skill. She had grown into one of the most prominent benders. She and four others were sent on flying bison. It was a very nerve-wracking time for these young ones. After all, it had been their first time out of the Northern Air Temple. It seemed weird to them that they were sent away. After arriving , they soon realized they were being prepared for war. The Southern Air Temple believed they were next in line for an attack from the Fire Nation. Zasi had been so excited to finally be outside of the Northern Air Temple. All she wanted to do was explore. After prodding for such a long time, they decided she wasn't a fighter after all. They sent her off to go back home. She took this as an opportunity to explore. It was rare for people to see an airbender outside of the temple, and Zasi eventually felt uncomfortable with this. She was the only one of her kind it seemed. Of course she would run into an airbender once in a blue moon, but they had long ago cast out the Air Nomad costume. She was like a harsh contrast to everyone else. Eventually, she had landed in Pangbu. Curious about the place, she decided to stay for a bit. 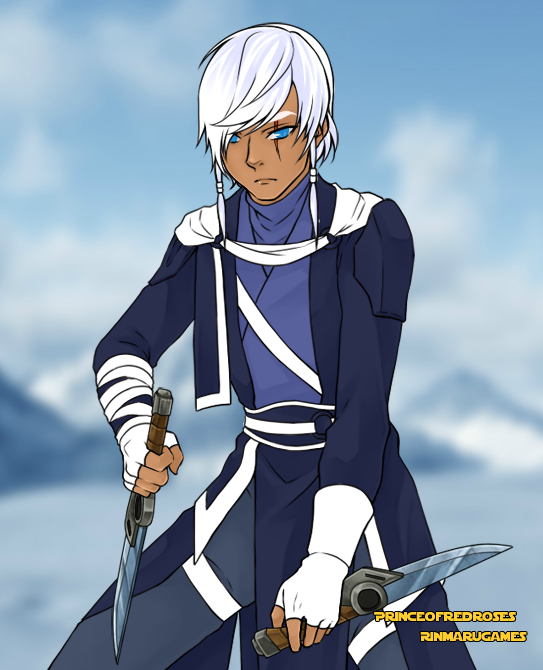 Weapon: He has two water tribe knifes he fights with. Appearance: Yotem has scruffy white hair with strands that come to his shoulders and winter blue eyes. He stands at around 5’12” feet, and has a lean but muscular body. He has a scar on his face from a fight. Personality: Yotem overall has a very serious nature, as he had to take care of himself at a young age. He always seems to have an intimating look to him and doesn’t talk much to those he doesn’t trust. Yotem never turns down a challenge, as he always feels he has to prove his worth, and will even do reckless things to show others he is strong despite the risks. Yotem is a bit of a loner and doesn’t trust people easily. Though with those he trusts he tends to look after them, like an older brother, and would sacrifice his life for his friends. Yotem can also be sarcastic in conversations, which can make people frustrated. Also, anyone who knows about his family and who mocks them can make him very angry. Strengths: Yotem is very skilled in combat, and can stand his ground against many foes at once. He is also good as sneaking and hunting. Weaknesses: Yotem is not very good with working or trusting others, can be very stubborn and even disobey the orders that others give him. At around age 11 did Yotem unlock his bending abilities. He was on his own when a few of his peers surrounded him, calling him names and then proceeded to beat him up. He knocked to the ground when he heard his sister’s voice. The bullies led up and turned to her, wanting to put her in her place. Before they made their move, Yotem felt a power inside him and lashed out, knocking them to the ground. Yotem picked himself up and approached them, planning on doing more damage, but his sister stopped him and he let them go. A few days later the kids went from teasing to ignoring him, running away whenever he walked by as they were afraid he would hurt them, adults uttering the word “cursed” as he walked by. Some of the elder members spoke of sending him away, but the chieftain of the village and the rest said he must be trained to control his power. So he instead got lessons on how to control his power, and on his own he trained until the early hours of the morning. A year had passed when things were going bad. Food was becoming scare, many villagers were getting sick and hunters would return injured as wild animals were becoming used to humans. That’s when the village members really ostrizied Yotem. They turned him down, were reluctant to help him, and even some convinced his sister to leave the cursed child. He became angry at the village, the people he once called family turning their backs on him. Yotem had heard rumors of a large arctic wolf that had almost killed a few of the villagers. So, enraged and driven to prove himself, he set out on his own to kill the beast. It was a ruthless battle; a young boy of only 12 against a large wolf. Yotem knew the battle was hopeless but fought anyway. It almost took out his eyes and nearly killed him. Yotem was about to meet his end when something hit the wolf, distracting it. He turned to see the villagers fighting, and they told him to run. But Yotem was determined. Fueled by anger, Yotem launched an attack and killed the beast. Yotem was lucky to be alive, and later the pelt of the wolf would be part of his wolf armor, which was acquired before going to the refugee camp. The way the village treated him became more open and friendly, but there still was a sense of tension, as many distrusted the boy. At age 16 the war had finally made it to his front. Skirmishes on the border with the Fire Nation were becoming common, but the village held their ground as it was a small force. One day, a stranger came into the village, looking for help. Many members distrusted him, but the chieftain agreed he would stay. Yotem kept his distance from the stranger, and told his sister not to go near him. One day, the chieftain’s child went missing. The village was in panic, but soon heard news someone had taken her. Turns out, an enemy soldier found him and was going to harm him, but before that happened the stranger swooped in and saved the day, bringing him back safe and sound. After that, the stranger was welcomed with open arms. Even Yotem’s sister trusted him and they became friends, though Yotem always kept an eye on the stranger. While Yotem was training one night, he heard noises in the distance and found the stranger sneaking off. Suspicions rose, so he followed the mna. To his surprise, it turned out he was a Fire Nation soldier, as the stranger met up with a commander of the army attacking Yotem’s village. That next day, he told everyone he could of the news, and of course no one believed him. They mocked him, saying he only did that because he wanted to get rid of the guilt and violence of his past. Beaten, Yotem went home. As the defeated teen was coming home, he heard a scream. He ran, only to find the stranger, a Fire Nation soldier, holding his sister with a knife against her throat. Yotem threatened him but instead got a taste of firebending. As Yotem was knocked to the ground, the soldier had explained to Yotem everything, from what happened to his parents to why the soldier needed to take Yotem and his sister down. He let go of his sister and beat Yotem, not realizing his sister was calling for help. Angry, he grabbed her, and, since Yotem was weak, beat her in front of the poor boy. Just as he was about to stab and kill his sister, Yotem felt a burst of anger and power and was able to make the soldier freeze and copy Yotem’s movements for a bit. But Yotem was too weak and lost his control. Despite all of his efforts he could only watch his sister die in front of him. Soon the deed was on, and onto him. Yet this time he found back, grief controlling his every move. As they found, soon the sounds of the villagers echoed, indicating their arrival. As Yotem was blinded and deafened by the need to avenge his sister, the soldier quickly devised a plan. He started to call for help as Yotem attacked him, and soon cowered against a wall. Yotem approached him, angry, but before he could do the finishing move the warriors and chieftain entered his house and stopped him, the soldier telling the villagers that he heard Yotem’s sister screaming and came to find her being killed by Yotem. He tried to stop him but was attacked, and because of the past they believed the soldier. When things calmed down, they told Yotem it was time to leave, and before he did one elder gave Yotem his armor as she believed him but could not change the inevitable banishment of Yotem. He grieved over his sister, gathered his things, and left in silence a few months later, the soldier smirking as Yotem left. As soon as he was out of the village, the fighting broke. Yotem was only a few miles away when he saw the smoke. So, putting on the armor and his white wolf helmet, he ran back to the village to see it in smoke, Fire Nation warriors everywhere. Despite the violence and despite the isolation, Yotem fought to protect his village. Soon, it was another showdown between Yotem and his sister’s murder. But something prevented Yotem from killing him and he got away. Although the Fire Nation was defeated, nearly everyone in his village was killed. He found a few members, including the elder who made his armor, around the chieftain as he was dying. So he made a promise there, that no matter what, he would find the man who murdered his sister and destroyed his home that he would suffer and face an unimaginable pain. And so he left, where a few years later found himself at Pangbu refugee camp, looking for clues to fulfill his promise and exact his revenge. Let me know when you finish it and I will accept, Cy! Appearance: Kohaku is a waif of a human, standing at around 5'5" and is built with a slender form and brittle bones. 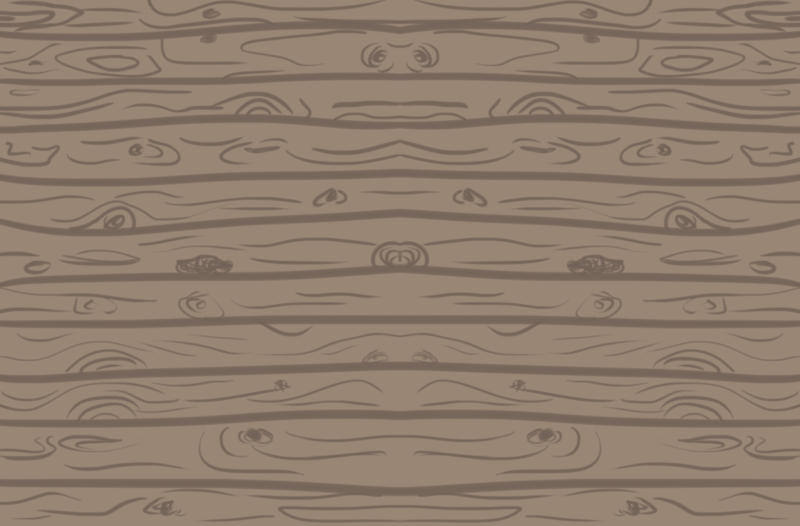 He is almost sickly pale and has black hair that is almost always slightly unkempt. He wears loose-fitting clothing because most of the clothing he can get his hands on are much too large for him. Personality: Kohaku has a personality fit for his appearance, with a quiet voice and a tendency to avoid situations that may cause conflict. He is rarely sociable and when he is, he limits himself to only a few words at a time. As much as he dislikes voicing his own opinions, he's happy to listen to anyone talk to him as long as they don't expect him to respond or add much to the conversation. Strengths: He's often able to think his way through situations without having to resort to any kind of force, disliking confrontation in general. Although it may not seem like it, he has a stubborn perseverance for causes he believes in and is quite loyal to people he believes matters to him. 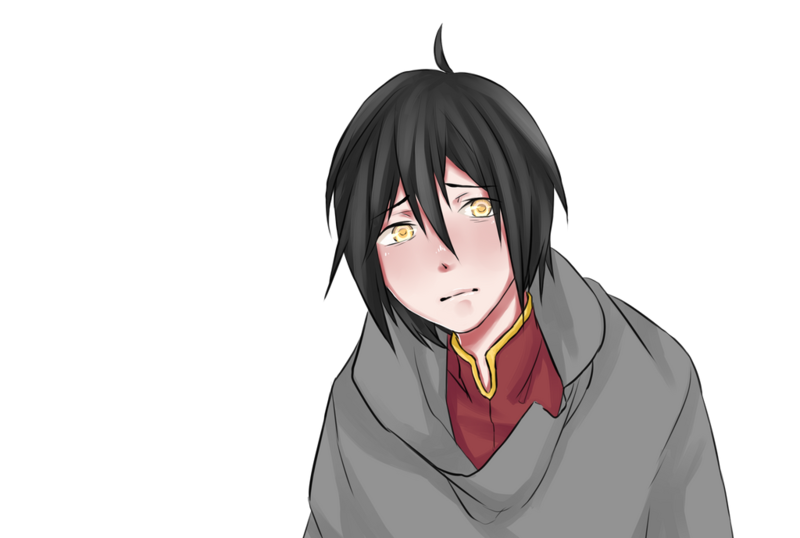 Weaknesses: Kohaku is often skittish and is very prone to giving up easily if he does not believe that it is something worth his time. He is very sheltered and finds it difficult to work with anyone else as it requires communication. History: Kohaku never knew his parents and spent a large part of his younger years stealing clothes and food as a street urchin. He was caught stealing by a storekeeper and the man took pity on him, taking him in as a worker for the store. Although they were never particularly affectionate with each other, they trusted each other and the storekeeper taught him a bit of firebending as well, which he later studied alone to try and improve, believing that it could come in handy if he ever was in the streets again. The storekeeper was forced into the Fire Nation's army and Kohaku fled, not knowing and not wanting to serve a nation he never felt any loyalty to. He's been moving ever since, not staying long in one location in fear that someone would find out his past and has recently reached Pangbu where he plans on staying for a few weeks at most before continuing to move east. Alrighty! I have my history up now!